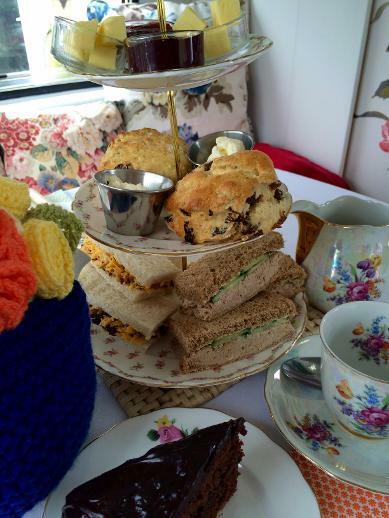 You can enjoy a delicious Afternoon Tea here at Circa and if you want to make it that little more special, then why not ask for a table in one of our caravans 'Annie' or 'Daisy'. For an extra charge (£3 per person) we will serve you and your guest/s in your own bit of vintage caravan heaven...see the link on our 'Cafe' page. Dine 'Alfresco' in our garden or enjoy your own bit of seaside heaven in our Beach Hut. circa, antiques, vintage, gifts, collectables, amble, warkworth, alnwick, northumberland, coastal route, cafe, tea room, ice cream, cream tea, art gallery, vintage caravan hire.